an Interview about himself, his games and how Brexit is already having its effect. Phil Eklund is one of our era’s most successful designers. More importantly than success, his designs are interesting and memorable. His games have depth, strategy, and more historical notes than you ever thought possible. 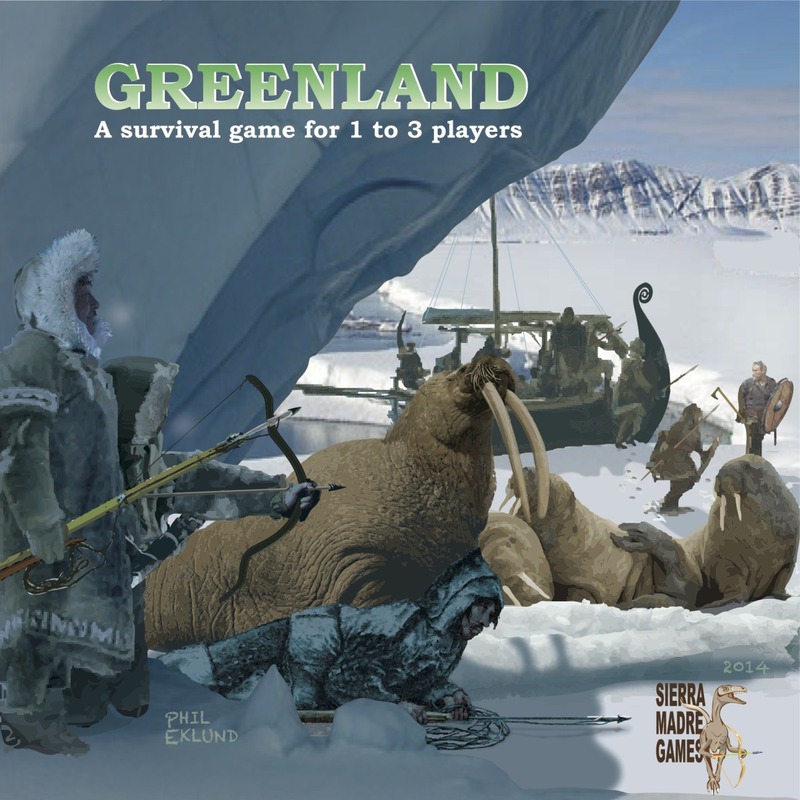 Among my favorite games is one that he designed called Greenland, a game about depleted resources, tribal warfare, religious conversion, and the shifting harshness of world conditions. 1) Ive played Greenland numerous times and I don’t think Ive read a rule book more times than in Greenland (well, perhaps for Pax Pamir). Yet, once you understand the logic of the game it became quite intuitive. Because of this depth of detail it has become one of my favorite games and I recommend it regularly. Simply put, you are always engaged. How did the idea of this game originate? During the design of my civilization game Origins, I was faced with the problem of the occupation of the New World. There are essentially two maritime ways to discover the New World (Atlantic and Pacific) and two land bridges (Alaska and Greenland). I recall being vaguely irritated that my history classes seemed to gloss over what a momentous occasion the Greenland experience was – the first time east met west. And inauspicious: according to the Viking Sagas the Vikings experimented on the Indians they captured by stabbing them lethally and non-lethally. Many assume this meeting was with the Thule, who are today called the Inuit. But if they were the hyper-aggressive Thule it seems unlikely they would be without bows, and would not have ineffectually defended themselves by throwing walrus tusks. It seems this historic encounter was between the Vikings and the Tunit, the original two inhabitants of Greenland. Although I wasn’t thinking about anything other than Origins at this point, my interest was aroused. 2) With all the complexities of marriage, disease, traders, religious conversion, were there some ideas that didn’t get included in the game? Philipp Klarmann is a war-gamer who lives in the neighboring village of Bruchsal. He has often helped me figure out the confusing red tape here in Germany. When Philipp showed me his design for a Greenland game, I recalled how fascinated I was with this place and period, from my earlier researches. But I really did not like his design. The game was all about the Vikings, with the Indians unrepresented except as NPC hazards. The players were all identical clan leaders, which turned the game into a historically-meaningless power struggle. Given the historical result that the Vikings died out in favor of the current rulers of Greenland (the Thule), whichever forgotten Viking clan came out on top would be a short-lived pyrrhic victory. I prefer simulations where the players represent differences in culture, religion, or ideology. 3) I love the idea of a small footprint game that has heft. What leads you to decide physical game size. Did you ever think, oh boy this one deserves a board the size of a 747? The Klarmann design had a detailed map using the archaeological records of the locations of all the Viking longhouses. But I had been influenced by Jim Gutt, the co-designer of Pax Porfiriana. Jim, who was an expert in the boardgame Lords of the Sierra Madre, showed me how the game could be made faster and smaller without the board. This worked because the Sierra Madre mountains were a natural barrier effectively dividing the playing arena into two separated states, with access between them limited to the play of certain cards. I realized that Greenland, whose interior is uninhabitable, was a similar situation. I do not intend to abandon boards the size of 747’s in future designs. I love maps, and High Frontier benefited greatly from having a big detailed map. However, the UK withdrawal from the EU is a setback for me and my future plans for big games with maps. Great Britain is a large source of demand for my games, and my fulfillment house will not deliver outside the EU because of complications filling out the customs forms. If the mass of a future game goes over a kilo, then exporting to Britain will become cost-prohibitive. 4) How long had this game been in development? Do you develop several simultaneously? Were there any parameters that needed to be considered during its creation? I distinctly recall that in early 2014 that my son Matt had tasked me to work on Pax Renaissance. Matt’s development team had just rejected my latest effort, so I set about trying to rescue the work done so far, as to make good on promises and expectations. But my mind kept drifting back to Klarmann’s Greenland design, and I kept trying to quantify what I did not like about it. Then one day I set aside the Renaissance and developed a brand new game from scratch. This came out in just a frenzied day or two, but naturally playtesting and refinements took many months of effort. 5) Whats the most challenging part of creating a game in general, this game in particular, and furthermore a game that involves actual people and historical events? In the creation process, player identity is often a big stumbling block. There is a cooperative game, I forget its name, which takes place on a sinking island ( I think hes referring to Forbidden Island) . Each player has a unique skill necessary to save them all. It struck me that Greenland is identical except at that time it was freezing over instead of sinking, and the specialists were cultures instead of occupations. 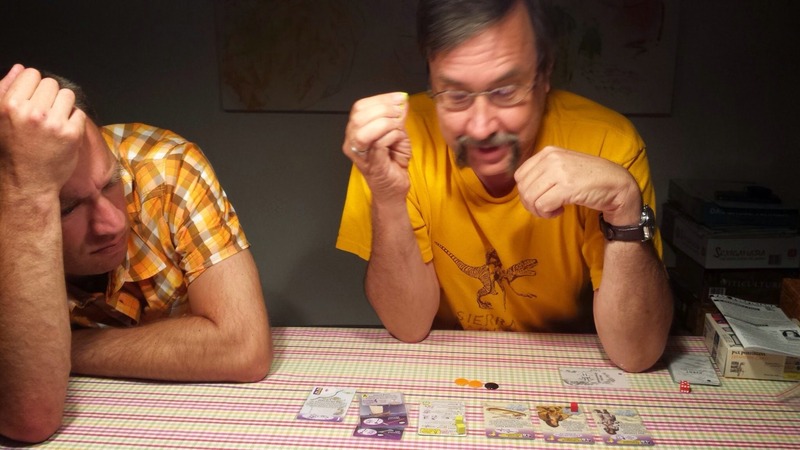 So the first attempt to revise the Klarmann design was for a cooperative game. But this did not really reflect the warlike nature of the Viking and Thule players. So the game evolved into its present form, with cooperation and competition sitting very close together. Player identity was particularly tricky for my new games for 2016: Pax Renaissance and Bios Genesis. Early ideas for player identity here included organic molecules (in the Hadean Earth with lava oceans), and sea princes looking for adventure and profit in the Renaissance. 6) Who is this game aimed at? Who do you see really enjoying it? Me. I enjoy playing it. 7) Excluding other Eklund titles, if I were to say “if you like game X, then I think you’ll like Greenland.” What would game X be? 8) What games did you grow up liking? I started, as many of my generation, with Avalon Hill wargames. I also did rpgs of my own design with my son as he grew up. 9) What games do you like now? Normally I get so consumed in the latest project that I don’t play other games. Sometimes the wife and I play Origins or Neanderthal (both my own design). As long as I can remember, I have been tinkering with other people’s game designs. Then I was making my own games and xeroxing them for my friends. Sierra Madre Games was officially inaugurated in 1992, but had operated for years prior in an unofficial capacity. I enjoy watching wildlife, especially birds and bugs. 12) I also run a blog called Boardgames & Bourbon and have the best bar in town. If you pull up a stool, what drink can I make ya? 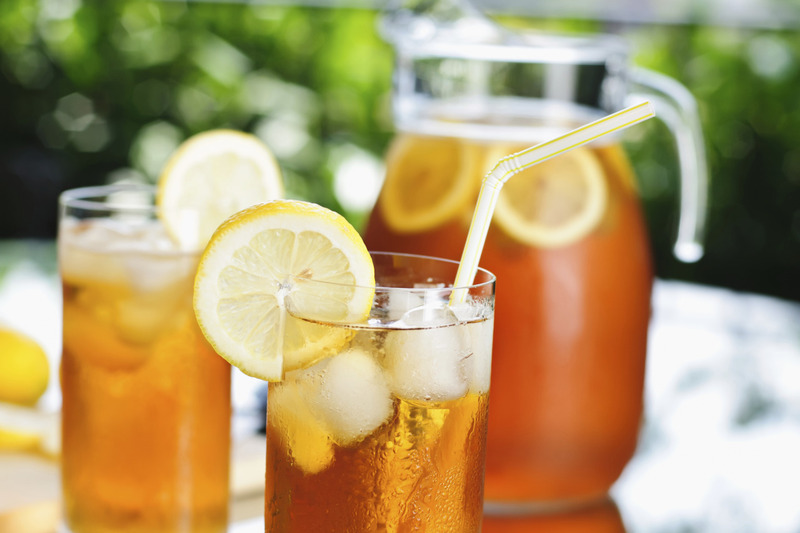 Sorry, I am a teetotaler blogwise. 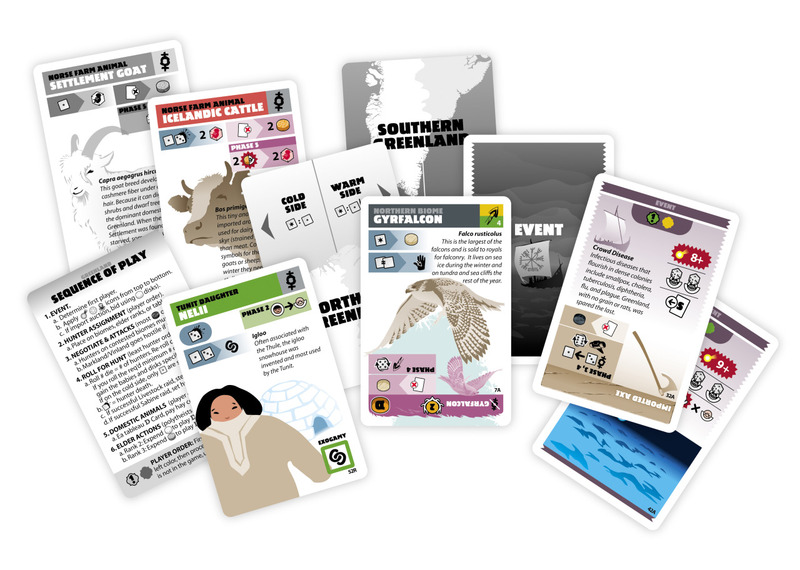 The focus at the moment is to get printing issues for Pax Renaissance and Bios Genesis resolved so both are in time for this year, but, I have a team working on the second and third of the Bios trilogy: Bios Genesis, Bios Megafauna 2, Bios Origins. Also toying with a game of Pax Porfiriana set in modern Mexico.